Magnet P.I. Sweeper Magnet | P-32 | Free Shipping! The 32" Magnet P.I. 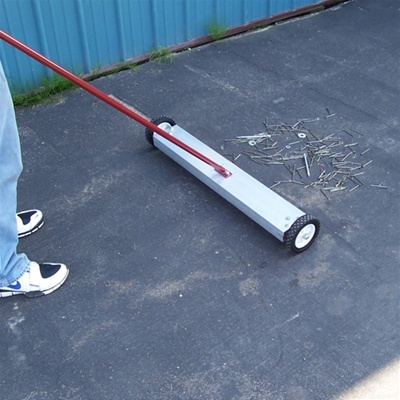 is perfect for cleaning up construction sites, and the 38" overall width makes it ideal for quickly removing debris from large areas. 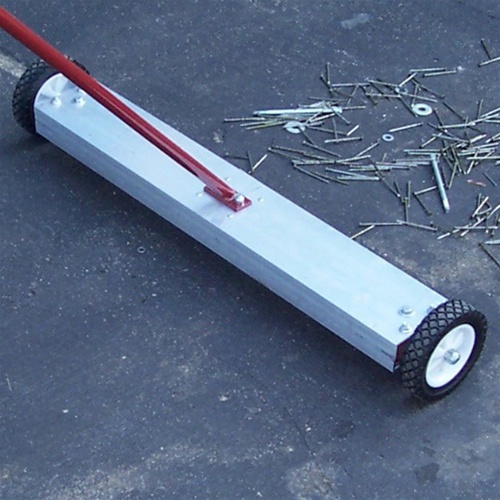 It has a 2" ground clearance and 6" wheels for smooth sweeping action over all surfaces. With 150 lbs. 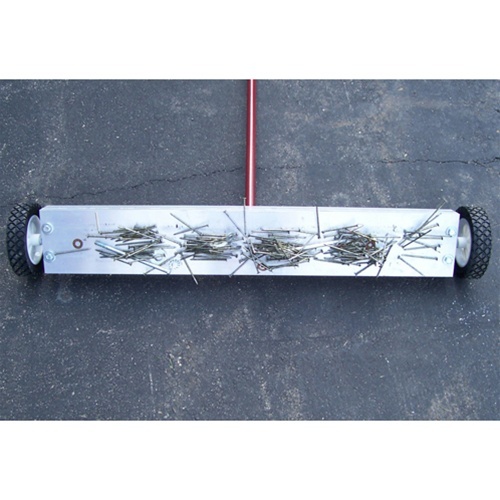 of lifting power, it will quickly snap up nails, tin, wire, and other harmful metal debris. There are no operating or maintenance costs. 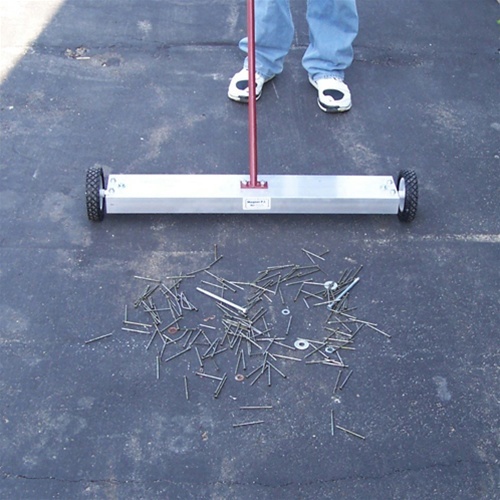 A great option for roofers or maintenance firms!